It was a space upon my crinkled and stained mountain map that demanded attention. 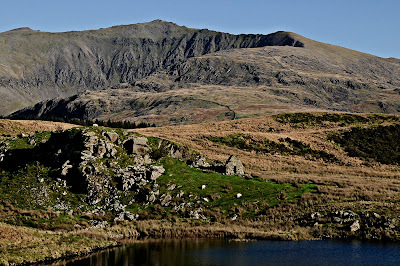 The vast rough bounds of the south Snowdonia mountain Dduallt harboured within it's eastern maw the source of the Afon Dyfdwy- The River Dee. THE great Welsh river which coils from it's source within these saturnine cliffs and meanders through the Welsh English borderlands before spilling into the Irish Sea. It was the outdoor and travel writer Jim Perrin whose book with renowned photographer, John Beatty, 'River Map',had first alerted me to this wild place as the source of the Dee. 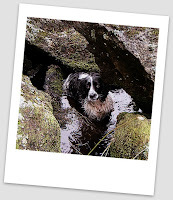 The writer reminding me of my task through a recent Guardian Country Life column which once again spun back to this sacred spring on the moors. As something of a Dduallt enthusiast myself I had experienced most of what this rugged little armadillo of a mountain had to offer. I had laced up my rock boots and climbed on its rough little outcrops, delved into it's dank caves. Hunkered down into winter gear as vicious gusts blasted sleet into my face. Floundered around in it's glutinous encircling bogs and, on one occasion,was almost benighted within one of the dense coniferous forests which guard the mountain's western and eastern flanks. An ill planned excursion when a late start and stubborn refusal to cut short my plans left me watching an azure November sky bleeding into night, leaving me with no option but to enter the dark woods to the east in the hope that I could find a stream to follow. I Reasoned that eventually it had to reach the valley floor. A plan which fortunately worked as I tumbled scratched and bloodied out of the forest just as the last of the autumn light leeched away. Leaving just the blanket of snow on the Arans to counterpoint the gloom. It was late January weekend day which in a generally mild and wet winter in north Wales promised a rare day of clear skies and a still coldness. 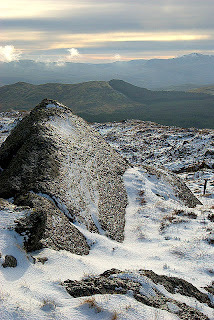 The Aran and Arenig massifs sported an impressive snow cover above 1500'. Even little 2000' Dduallt wore a cap of snow. As I arrived at my usual remote base for sorties hereabouts I was surprised to see an old 4x4 parked up. 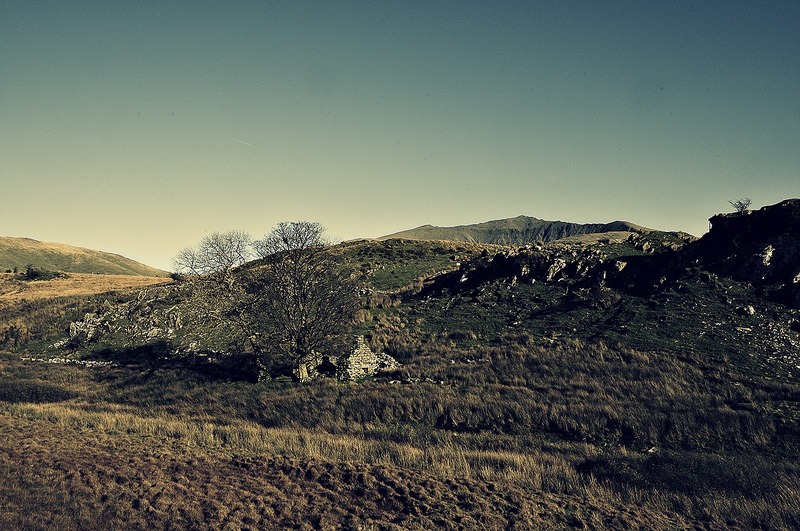 You can usually guarantee that even on a balmy summer bank holiday you can find yourself totally alone in this,one of the wildest and unfrequented parts of north/mid Wales. My companion-as had been the case in nearly all of my mountain walks in the past three years- was a four year old English Springer Spaniel. Fergus was a rescue dog who had spent the first 6 months of his life locked in a shed with his siblings. Without exercise and stained with his own mess,the poor dog was a quivering wreck when the RSPCA team rescued him. Happily, he soon became a wonderful well balanced hound who would lead me up hill and down dale with all the enthusiasm and boundless energy which typifies the breed. The previous year I was surprised to see the park authority had erected a finger post marking the trial through the forest towards the mountain. The first time I had attempted to reach Dduallt I had stumbled around in the truly horrible cloying tussocky fire breaks through the forest.Each time reaching an impasse and being forced to retrace my steps and attempt what became yet another dead end until I eventually gave up. The new marked path is equally mired and rough but at least you know that eventually you will arrive upon the flanking rough bounds of the mountain. The initial path which leaves the forest all too soon disappears and it becomes every wo/man for themselves as the walker is forced to pick a way through,bog, verdant heater and lethal hidden boulders before attaining a firmer course up the mountain's south ridge. 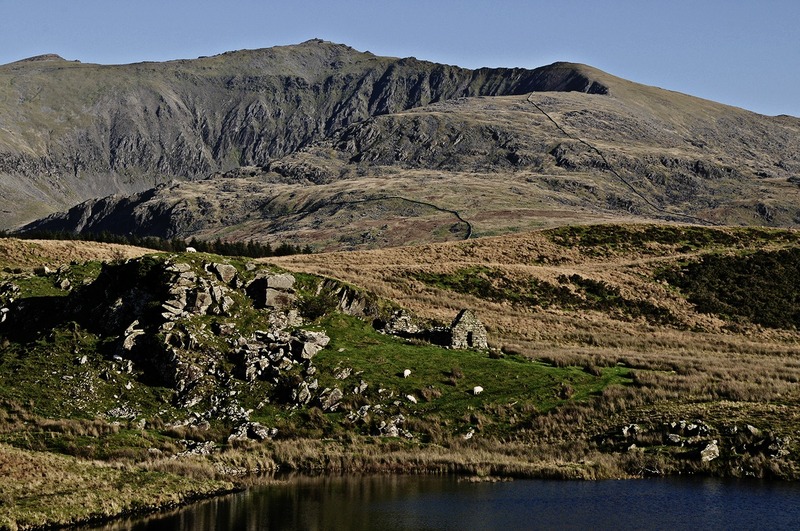 As mountain walking goes this is just about as rough and tough as it gets in Wales. Distance and elevation wise, it looks nothing on the map but the brutish terrain hereabouts more than makes up for its modest height. As always on these walks, I lose myself in thoughts. 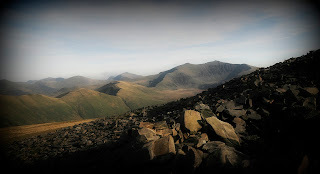 As I get older I certainly have become truly Wainwright-esque in my desire to be alone in the mountains. Well...not truly alone as a dog who barks me into movement every time I stop somewhat disturbs ones reverie, but even on terrain such as this which demands your full concentration,you can switch off and follow your thoughts in whichever direction they lead. I was pondering that strange age I was at when you are a lot closer to wearing a wooden overcoat than a swaddling shawl. Although physically I felt as fit and strong as I did thirty years ago,you become aware that after swimming wild and free in life's rich waters, there is a noticeable tensioning in your lifeline and at this point, the reaper begins reeling you in. Still...as that great northern philosopher Noel Gallager once said.... ' Be here now '! 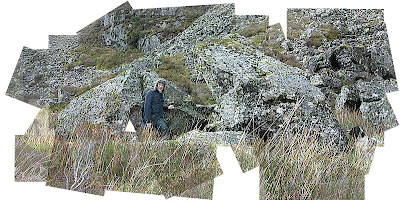 To reach what Jim Perrin describes as 'an ancient chapel' above the spring which marks the source of the Dee I had to drop down it's steep heathery eastern face dotted with hidden outcrops and water runnels. At least there was the stubborn heather to cling onto should you take a slide. A rough sheep track meanders under the face and soon reaches a wet bog where for some obscure reason, farmers had erected a fence. Not sure why cooperation has never been the name of the game in Welsh farming? Surely it's easier on these rough shared bounds to gather in the flock in a combined effort and effect the necessary husbandry in a communal way than erect fences and walls everywhere? Although stone walls have some aesthetic merit and occasionally offer a sweeping grandeur dependent on their location; modern stock fencing can never compliment an empty landscape. Communal husbandry is the way it's done with the Welsh mountain ponies in places like the Carneddau range; why can't the practice be extended to the ragged ruminants who inhabit the wild uplands? Perhaps hefting ( the evolved territorial instincts which Lakeland sheep such as Herdwicks apparently possess, keeping them within a defined grazing ground) hasn't evolved within Welsh upland breeds? Perhaps Herdwicks are a more laid back contented breed than their neurotic celtic cousins! I digress; Just beyond where the fence meets the bog, there it is. The ancient chapel although my impression is that it is actually a shrine not a chapel. Certainly something this remote and of this size would never have been used for communal worship but in a Christian context,might have been used for quiet solitary contemplation. A hermitage if you like but more likely just a simple shrine. Of course, as is the case with many Christian sites, it is quite likely that it would have originally been a pagan place. As we know, the organised Christian church with the military precision of the Waffen SS attempted to obliterate the old belief systems of these islands and replace it with it's far more absurd brand of superstition. At least the original pagan beliefs were based on the natural world and our place in it. A place where a spring erupting from the earth can be seen and tasted in all it's natural glory and placed within a natural context which makes sense of the world we live in. In such a quiet and wild environment as the mountain of the black heights,it seems almost sacrilegious to attach an alien concept like Christianity to something that is so much more ancient, visceral and so powerfully and intrinsically of this earth. 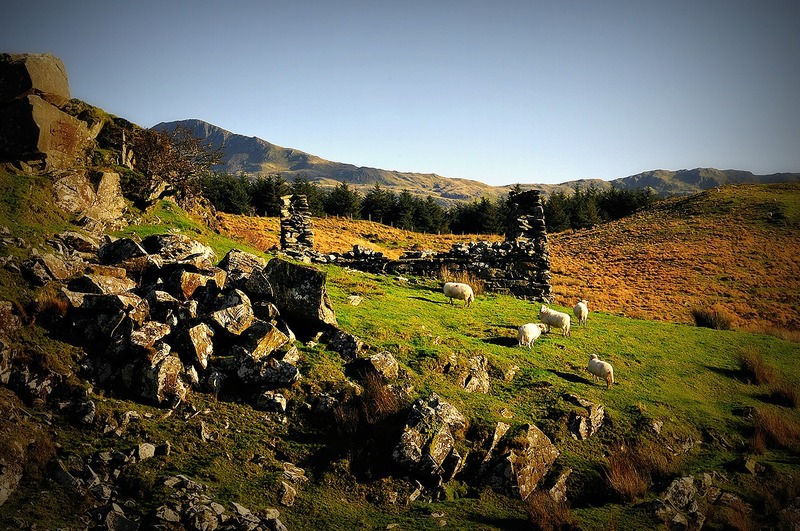 The Arthurian writer Scott Lloyd has interestingly located the birthplace of the figure whom King Arthur of legend was based on, just a few miles to the east in the village of Llanuwchllyn at the head of Llyn Tegid . According to Scott and his writing partner Steve Blake, whose extensive research resulted in the groundbreaking work 'The Keys to Avalon'; 'Arthur' was a Welsh tribal leader who became one of the most powerful of all warlords in the Celtic badlands of the sixth century. Even more interestingly is the link between Arthur and the Montgomery born shaman Myrddyn who it is said is the Merlin of legend. Within The Keys to Avalon, it is striking just how powerful and significant the Afon Dyfrdwy is within the Arthurian legend and indeed within Welsh culture. A holy river...a sacred river born in the black heights of the east before its journey to Avalon...situated upon North Wales' western seaboard. I spent no more than ten minutes wandering around the site. Before I departed I gazed up above the shrine to the impressive cantilever stone which jutted out high above from the mountain's flank like a stone diving board. I had first stood on that place thirty years previously and looked out upon a rolling brown moor.My vista stretching 15 miles or more with not a solitary human habitation or construction-save the coniferous forest- in sight. It is fair to say the mountain left it's imprint and I would keep returning to the mountain. In each of my ages...in each of the seasons. After leaving the shrine I wandered under the face passing a remarkably large stone pen? and picked my way up the mountains' northern flank to eventually meet the snowline. It remained still and clear with the late January sun vanillarising the wispy clouds. Just beyond the western treeline Rhobell Fawr was caught momentarily under a stray cloud and looked grey and uninviting under a mantle of snow. In every direction, snow capped mountains broke through the sombre plain. 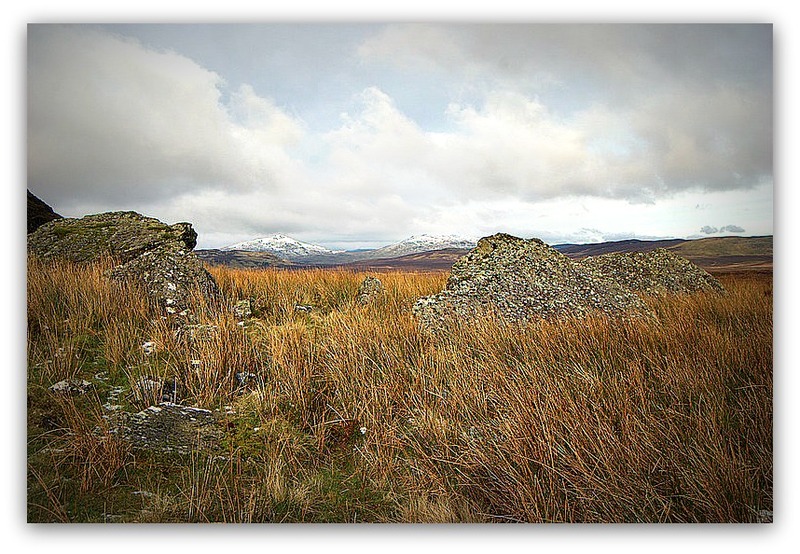 Cader to the south; Arenig to the north, Aran to the east and the Rhinogs to the west. Fergus and I picked away down through the white fringes towards the forest band. Fingers of glazed rock pointed every which way to the brooding sky as unseen water courses bubbled and frothed beneath us. A raven clapperclawed above before tumbling down to disappear from sight beyond a distant crag. Entering the dark forest we stumbled in the gloom over uprooted trees and skirted coal black peat bogs to eventually break onto the track. Opposite where my car was parked the little gritstone-esque outcrop of Ffridd Craig Fach was drawn from a John Piper palette. All drizzled black and muted viridian green stains with ochre slashes and burnt umber shadows. Hard to believe that Harold Drasdo and I had come up here 15 years ago on a hot July day and recorded the first ever climb. 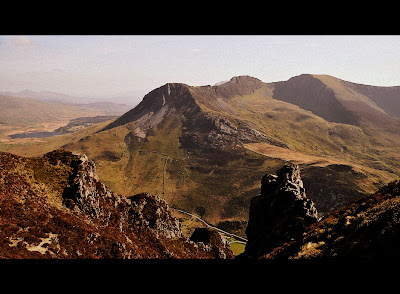 A modest VS which I called Sentina.Later I would tell Mid Wales maestro Terry Taylor about the crag and he would add at least a dozen hard routes up to E5 and declare the rock 'the best in Wales'. I've added another three or four myself but I'm not sure if I've even recorded them ? Not that it matters. 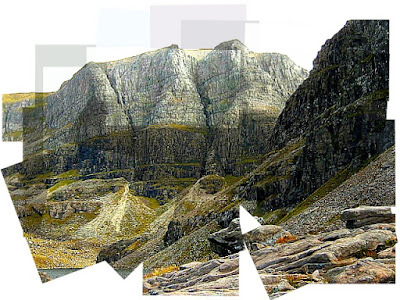 Modern climbers don't climb on these remote crags any more anyway. Except that the sun on my side was by now flaring behind Cader and the wind was locked out of my little cocoon as I pulled up to the Bala/ Dolgellau road and pointed the red bonnet east. Following the widely publicised case of black outdoor instructor Sam Farmer's ordeal at the hands of racists who burned down his equipment store at St Agnes in Cornwall. Thanks to the sterling efforts of climbers who read of his plight on the UKC climbing forum; a fighting fund has been established with a website where donations and messages of support can be left. Over £70k worth of equipment and Sam's partner's art works were destroyed in the racially motivated arson attack and the race is on to get Sam back on track to enable 'The Hope Project' to run outdoor pursuits for socially disadvantaged children this summer. Please help by donating to The Hope Project fund and send a message to the neanderthal thugs that their campaign of violence and intimidation will never succeed. My eldest daughter Hannah had another round of never ending “A level” study, she was incarcerated with her open books strewn about her and the formulae of some chemical experiment scrawled on a crumpled piece of paper. My wife Clare was at work so Faye and I had the day to ourselves, on such a rare and still autumnal day we toyed with an ascent of Mynydd Mawr or the Eilio Ridge from the back of the house but decided that we would like to share this with the others so we stored them away for another day. We chose to spend a few hours exploring what to me was very familiar ground and what to Faye were her family roots. I made a courtesy call to my Aunt Peggy who now lives in isolation in Bron y Gader, the family farm house in Rhyd Ddu, where my great grandparents’ chose to build their house and live and farm the slopes of Eryri, it was here that my mother was born and I too came into the world in the same bedroom with its undisturbed view of Snowdon and her surrounding sisters, Moel Cynghorion and Yr Aran, the mountains of longing. The land surrounding Llyn y Gader was where my grandfather farmed and scraped a meagre life from the sheep and few cattle that he had. It was here in the village that he met my grandmother Elizabeth, who lived in Clogwyn y Gwin, a farm not more than a mile from Bron y Gader. Clogwyn y Gwin ran to 1000 acres of hard and windswept crag strewn hillside which in summer would catch the setting sun and glow like a shimmering fire, its name in English translating to “The Cliff of Wine” which was the colour of the hillside in the setting sun. Its dry stone boundary walls stretching to within a hairs breadth of the very summit of Y Wyddfa itself. On this day, the 15th of October, on a brilliant sunny autumn afternoon we stopped a while at the small church in Betws Garmon where my parents and grandparents are buried, today was my father’s birthday and more poignant to me it was also hid death day. My father and I had often walked the route we had chosen today and most if not always he also carried his camera, like father like son I suppose. 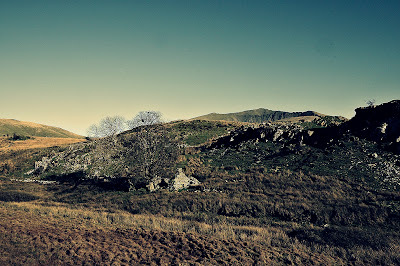 We parked the car at Bron y Gader and kitted up with camera bag and rations of chocolate biscuits and an apple or two. As soon as we walked through the kissing gate, a new affair and wholly different to the old gate that my grandfather had put there and my Uncle Jack and I had repaired on numerous occasions I had the feeling of being on home soil. Our first call was to the water well that now lies hidden under an access bridge to the field, the icy cold waters still weep into the stream that winds its way into Llyn y Gader, and it was from this well that my mother, grandmother and her mother in law before her would carry the water to the house. I showed this to Faye and my thoughts went reeling back to when I too as a child would scoop the crystal water out to drink in cupped hands. I pointed out to Faye that the slate slabs that were our footpath through the “Gorse” were laid by my great grandfather and kept in good order by my grandfather and then my Uncle Jack, its long narrow slates now cracked and sinking into the acidic peaty waters unloved and wholly uncared for, I will remember this path for the rest of my lifetime as its route, though short was always an escape to excitement to me as a child. The “gorse” was home to Curlews who would nest amongst the hummocks, walking towards the lake shore with my grandfather to fish or patch and paint, always a “Battleship” grey for some reason, the rowing boats. We had to take care as to not disturb the birds or tread on their nests, sundew plants were an endless source of fascination and I would search them out and tease them to close with the end of a piece of rush. How many Curlews now pick their nesting spot close to where the Sundew grows, none of either bird or plant most probably. At the height of summer grass snakes would often be disturbed from their slumber and would glide away towards shelter as we approached. After the end of the slate slab path we reached the river Gwyrfai and the boundary to this edge of our farmland, it was here that as children we had a swing tied to the bough of a huge Ash tree which would allow the brave to swing Tarzan like over the fast- to us- flowing water. It was at this exact spot that I found a First World War bayonet, in all probability dropped during training by a young soldier, for they all seemed to be young in my mind. Its pommel and hilt sticking out between two rocks. As I described this to Faye I wondered how long if at all the young soldier survived the horror he was to face on some god forsaken battlefield away from this “Harddwch” (beauty) I was astonished to notice how shallow the river was and how narrow too; as a child it seemed that we were swinging over a vast space and distance . From here we walked on till we reached the “Cob”. The waters of the lake were mirror still and a lone fisherman ploughed his boat across the lake and cast a fly, a “Haul a Gwynt” (in English, “Sun and Wind”- which is the name of my house a few miles from Rhyd Ddu- as he slowly drifted back, aided by the undercurrent that flowed from the lake to the river Gwyrfai. This reminded me of my time in the village school and of the poetry we learnt. Ar ddyfroedd hunlle'n methu cyrraedd glan. The fisherman in that poem is my grandfather Edwin who was at school with T.H. Today’s fisherman we were to later find out had been a friend of my mother’s who now lives in the old woollen mill by the river where our swing was as children we watched him in the distance from our elevation on the cob with such clear light that we could see the rod and line whip, and the gentle fly float in the air to land on the still water to effect a small ripple. On the foreground rocks a cormorant watched the fisherman and the water with steely eyes. No rod , line or fly was needed by him as he effortlessly plucked a small trout from the shallows . A gentle breeze then disturbed the surface of the waters causing our human fisherman to drift gently on the waves, the other guy just stuck to his rock and shook his head from side to side before another dive took him from our sights. Off the edge of the “Cob” we wandered down to the water’s edge and skimmed stones from the flat topped slate tips that jutted into the lake; laid like the outspread fingers of a hand, the gaps between them acting like sheltered docks. I taught Faye to skim the flat slates just as my grandfather had done for me. It was only when I returned home that the thought entered my head that we were touching stone that my great grandfather had touched. I wondered if he had also skimmed the perfectly flat penny sized discs as he sat here resting a while after a day’s labour on his walk home to Bron y Gader, or sat with an enamelled flask of milky tea with home baked bread and butter churned from the milk of his own herd. I recollect my Nain making loaves of bread in the kitchen, where she had an enormous earthen ware pot with a perfect round slate lid in which she proved the mix till it was ready to go into the ovens on either side of the range. These loaves would always have a top crust as black as the coal in the range which heated the ovens. My job was to churn the buttermilk in a barrel with a lid that was screwed tight by four clasps; the bright yellow butter was then blocked and imprinted by wooden pats with a flower carved in relief upon them, wrapped in greaseproof paper and sold to the villagers. My Aunt Megan and I would walk along the “Cob” daily after school to tend our flock of hardy small bodied Welsh Mountain sheep that we kept on the farm, or the half dozen Welsh Black cattle that we kept for milking. Her of such small frame and wild hair, gathering the sheep or dragging an ewe from some cleft in a rock or stuck in the river as if she was picking up a small child; of which she never had. I remember struggling along it one very bitter winter, a cut throat razor wind slicing down from Drws y Coed, wearing wellingtons that Nain had bought me in the shoe shop in Caernarfon which were as cold as the snow which we were breaking through.In all my times of climbing mountains or ice climbing in the Alpine regions I have never experienced such numbing cold as much as I did through those “Dunlop” wellingtons. The bitter wind of that day is as vivid now as it was over 50 years ago. Megan with a huge sack of hay almost as large as her, to feed the ewes that were kept on the slopes of the hill, me running behind her trying to keep up; she was a fast walker who crossed terrain like a dervish whirl. I can still see in my mind’s eye the snow banked up against the dry stone walls where ewes had gathered for shelter, snow drifted over them in a thick blanket and only a small entrance hole of melted snow tubes where they had broken through with their warm breath. Some would not survive the coldest nights and would be dragged out and later buried or carried back as a heavy carcass to be disposed of in softer ground. Megan would spread the hay out for the ewes in the shelter of an old slate splitting shed that had been constructed by my great grandfather as part of his plan to extract slate from this hill side. The sheep knew when and where the shelter and feed would be and they gathered round like expectant children waiting for the handout. This quarrying venture came to nought and it produced a very meagre quality slate and was soon abandoned, despite the construction of a raised cob to carry the dressed slate from the quarry to the Welsh Highland Railway that had a station at Rhyd Ddu; several cutting sheds and shelters, the entire track and trucks and other paraphernalia that turned this otherwise gentle hillside into a venture that “would make our fortune”. The shed I remember as a child had a roof and was open at both ends and acted as an ideal shelter during the coldest weather for the ewes and often their offspring too during lambing time, the day that Faye and I were there the roof had all but gone. The timbers and huge pine joists cracked like huge bones, splintered and sharp. All but a few of the roof slates were missing or lay broken on the floor but on the ground by the gable end there was a grey ridge tile still intact and in exactly the same sunny spot that I remember sitting on as a child. I sat again today amongst this detritus of dreams. The small quarry behind, now overgrown, green and lichenous was where we came to when one of the cattle, a young heifer with a coat as black and sheened as wet slate was spooked by a thunder clap one stormy night and had fallen or leapt over the precipice only to land on a huge sharp spike of slate, she was still but barely alive when we arrived with the vet who had to put a shot into the groaning beast, I was not allowed to see the done deed but remember the echoing sound of the gun in the amphitheatre of the quarry. Faye and I wandered towards the small stream where there was the remnant of a powder house, now only two walls and surrounded by fallen pines, we used to keep tins of marker paint here for the ewes that would be released onto the hill after shearing, the bright red thick and viscous paint daubed on reluctant brows by me as my grandfather held the ewes between his strong thighs with their eyes wide and glaring and darting for a way out, once marked they would bound away only to stop and look back, their faces with the red mark like an Indian goddess in the middle of their brow. We sat on a small grassy knoll and ate our apples, it was here that I had placed a memorial slate slab, carved and carried here by me more than twenty years since and dedicated to my greatest of friends- Bob. We had shared our lives as youths and young men in Liverpool and climbed and drank our way through our lives as if we would live forever, Bob and I often came here to this spot, it was always one of his favourite places and he said he belonged here and felt a great connection with the spirit of the place. If we were staying at my parent’s cottage in Rhyd Ddu we would walk along the “cob” in moonlight to watch shooting stars in the blackest of nights whilst we sat atop one of the many large boulders that were thrown willy-nilly on the hillside, many times we would bring our rock boots and chalk bags and boulder away a whole afternoon pushing the limits as we “spotted” one another for a fall, we did numerous problems on these rocks and left them unrecorded, I was told recently that they are now graded and guide booked and claimed by others. When we buried Bob in a cold Anfield cemetery a few days after he had inexplicably taken his own life in a cruel and harrowing way, I kept thinking about our time on this little patch of hillside I called my own. 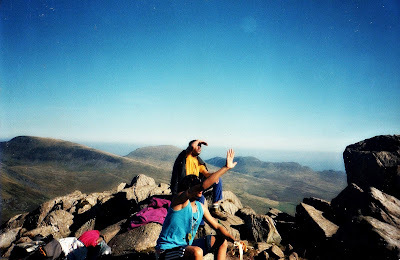 Two days before his suicide we had climbed up to the summit of Pen Llithrig y Wrach on the Carneddau hills on a stunningly clear day and talked about his return to Liverpool and a restart of life on the rocks and hills. Bob came late to owning his own transport and didn’t pass his test till his mid thirties; he was always full of surprises and turned up at my house in Liverpool one day on a huge (brand new) BMW 1200cc Motorbike. It was on this bike that I waved him farewell as he went to sort out his return from London to Liverpool. That wave was the last I saw of him and the next morning he was found dead in his bedroom. What possesses a man to leave behind such warmth, love and friendship can never be fathomed out and left me in turmoil. I put the bitter memories away and turned from Bob’s memorial stone to catch the light mirrored off the waters and leading my eye to the summit of Snowdon. Sharp and clear on this day. Faye was sitting on a small knoll eating an apple; her jet black hair throwing highlights as the sun caught a glimpse of her face as she turned. I could only think of my mother who would have come here with her father in very similar circumstances as us, to enjoy a walk and take in the surroundings as her father tended his stock, as I returned to my haunts of so many years, tending the flock as a child, walking, climbing, taking pictures. When I was here in the heady days of the early 60’s I never thought that I would return with my own child in tow and wondered silently whether it was as magical for her as it was for me. Eventually the fisherman rowed over to a sheltered little rocky outcrop that acted as a natural anchorage to speak to us, it was the exact spot that my grandfather and I had tied our boat up all those years ago. It was then that we found that he had known my mother really well and it was from him that I had purchased a box full of old climbing guides many years back, small world even in such a big open space. The dwindling warmth of the day set us on our homeward journey and we began to retrace our steps along the cob; with the fading light throwing huge shadows over the lake as the sun dipped behind Y Garn and dropped into the bay behind the hills. On reaching the car we decided on one quick visit to another childhood haunt before we set for home. Although Faye and I had been to Llyn y Dywarchen on many occasions this visit seemed to fit in with the theme of the day and all the reminiscing that was filling my mind, it was as if it would cap the day off and end it all on a magical note, literally that is. Llyn y Dywarchen has always held a grip on me since childhood and was a place that I and my friends from the village school in Rhyd Ddu would escape to on summer evenings to explore, play “Cowboys and Indians” with homemade bows and arrows cut from some innocent Willow or Ash that grew on the farm. The cowboys would invariably lose despite being armed with Mattel’s latest “Stallion 45” with real leather holsters, I doubt Cowboys and Indians has been played by anybody for about 40 years, not PC or some such? As the darkness fell we gathered ourselves together and headed back down the valley and home, on arriving we found Hannah was still revising and Clare was preparing a fine goulash. "I put the bitter memories away and turned from Bob’s memorial stone to catch the light mirrored off the waters and leading my eye to the summit of Snowdon, sharp and clear on this day. Faye was sitting on a small knoll eating an apple, her jet black hair throwing highlights as the sun caught a glimpse of her face as she turned. I could only think of my mother who would have come here with her father in very similar circumstances as us, to enjoy a walk and take in the surroundings as her father tended his stock. 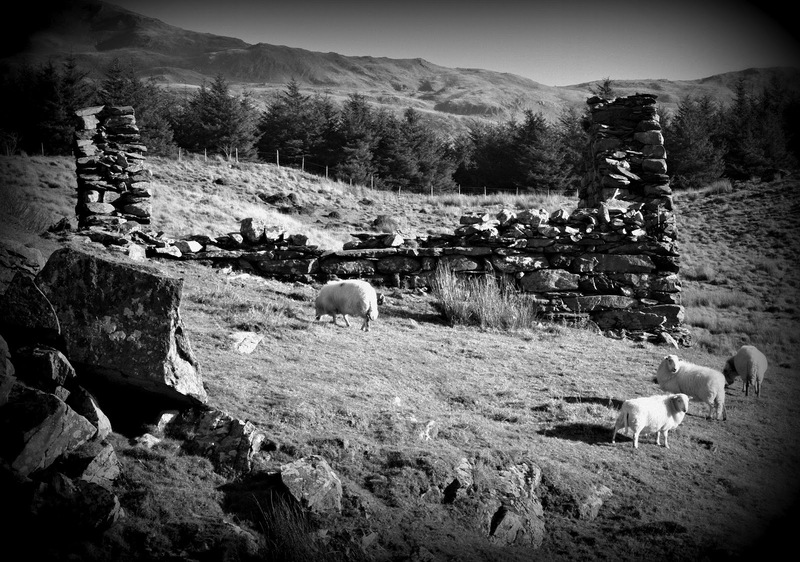 As I returned to my haunts of so many years, tending the flock as a child, walking, climbing, taking pictures. When I was here in the heady days of the early 60’s I never thought that I would return with my own child in tow and wondered silently whether it was as magical for her as it was for me? Eventually the fisherman rowed over to a sheltered little rocky outcrop that acted as a natural anchorage to speak to us. It was the exact spot that my grandfather and I had tied our boat up all those years ago. It was then that we found that he had known my mother really well and it was from him that I had purchased a box full of old climbing guides many years back, small world even in such a big open space. Ken Latham was born in the shadow of Yr Wyddfa and spent his years of innocence exploring every rise and fall of the mountain's rough flank. 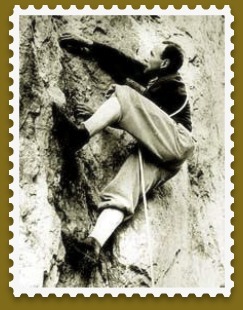 When his family moved to Liverpool, Ken retained his love of mountain life and eventually became a talented member of the Liverpool scene of climbers which included legendary names like Al Rouse and Pete Minks. 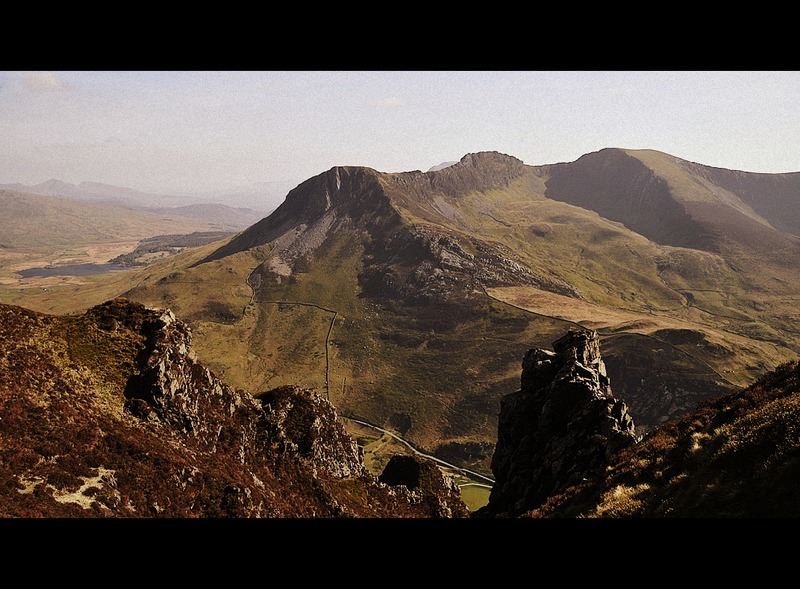 Since returning to north Wales, the author has picked up where he left off and has continued to wander far and wide across his old stomping grounds. In 'A short walk back to childhood', Ken describes returning to his old haunts with one of his daughters and looking back half a century on. A perspective which sees old ghosts gently raised and old haunts brought back to life. It was one of those Facebook links which friends post when they have read a story which has fired up their righteous indignation. This was a link to a story in The Voice; a long established journal produced in the UK for the black community which detailed an appalling tale of racist abuse and intimidation of a Liverpool born outdoor pursuits instructor in Cornwall. 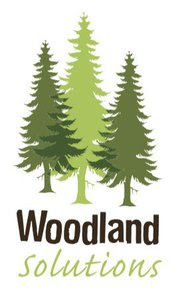 In 2007, Samuel Farmer had established an outdoor activities charity project in SW Cornwall . The Hope project was aimed at offering youngsters from the inner cities the opportunity to experience the great outdoors through activities like Rock Climbing, Horse Riding and kayaking from a camping base at St Agnes near Truro. The unfolding tale had revealed the projects founder as something of an inspirational figure. Here was someone who as one of fifteen children brought up in the deprived inner city community of Liverpool 8, (Toxteth), had broken free of the limited opportunities which exist for black or indeed most young people in a northern city of high unemployment, and through a self funded outdoor pursuits course had gained the necessary qualifications and experience to enter a world and follow a career path which is overwhelming a part of white culture. 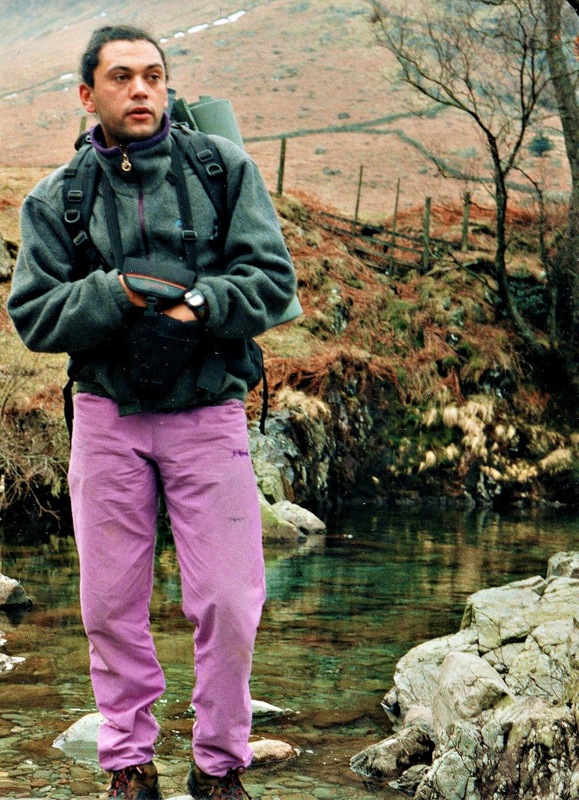 Indeed, it is still extremely rare to come across anyone from a non white ethnic background engaged in traditional outdoor activities in the UK in either a professional or recreational way. Five years ago,Samuel and his partner Carla had purchased a small parcel of land with a semi derelict dwelling at St Agnes 10 miles from Cornwall's 'capital'...Truro. Despite welcoming over 300 children to the project, some members of the local community appeared less than enamoured or charitably inclined towards Samuel's mission. Over the proceeding years Samuel and his family began to suffer the harrowing torment of racially motivated abuse and intimidation. In an interview with the regions' Western Mail, Sam explained how " his life has been endangered by "racist" attackers who have shouted abuse,thrown rocks at him and his young daughter and spat on the family'. He also described how racists were also responsible an earlier arson attack on the project, as well as a brutal attack on a horse, which lost an eye as a result. The culmination of this campaign of racist terror came in January this year when an outbuilding housing £70k worth of outdoor equipment and his partner's art work was destroyed in an arson attack. My own interest in this story-apart from it stirring powerful feelings of revulsion and anger at those who would perpetrate such a heinous act-was reinforced by a common background with the victim. By Toxteth standards,as a white working class kid, I had been brought up in the relatively bucolic environs of Sefton Park less than half a mile away. Like Sam I had become engaged in outdoor pursuits against the grain as it were, and also had become involved in organising outdoor activities for socially disadvantaged children through a non profit making charitable institution. Naturally there was a cultural and idealistic empathy which underpinned a desire to offer my unstinting support and hopefully, make a positive contribution, no matter how small. 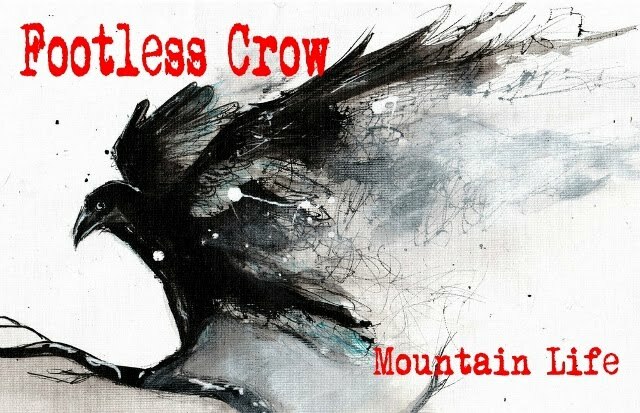 There was no question that this story had to be communicated to the wider outdoor community and through the To Hatch a Crow site, Sam's interview with The Voice was republished verbatim. Thankfully the story was picked up on the UK's largest climbing forum, UKClimbing and subsequently has provoked a huge outpouring of real anger and revulsion at what Samuel and his family had suffered, but perhaps more importantly, a groundswell of positive good will and genuine concern. Within days the viewing figures ratcheted up as more as more people came to the story. Climbers from all over the UK were pretty soon suggesting ways of making a contribution. Either through donating equipment and clothing; started a financial appeal or just offering to turn up at Sam's site and give him their labour, to help rebuild what had been so senselessly destroyed. As things stand,no one has yet been arrested or charged for any racially motivated offence against Samuel Farmer and his family. According the Samuel this evening,the police are about to declare the case closed! From my admittedly somewhat subjective perspective,I have to ask, if Sam had been a nice middle class white lad from Totnes would the police have taken the offence more seriously ? Apart from police inaction Samuel has also had to suffer a somewhat snidy and less than supportive editorial in one of the local newspapers and furthermore, I have learned today that his plans to re-build his outdoor equipment store has been subject to a planning query which suggests that the local authority planning department may not be inclined to let The Hope Project plans proceed in their current form. 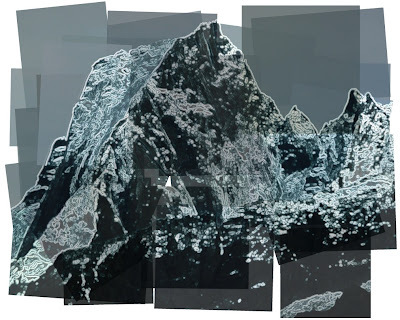 Arriving at the village of Promontogno, in the Bregaglia area of Switzerland, Paul Nunn and I were immediately taken by the unspoilt beauty of the steep, wooded side valley leading up to the jagged peaks of the Badile, Cengalo and Sciora. The main Val Bregaglia which leads to the Maloja Pass is home to the medieval villages of Bondo, Promontogno and Vicosoprano and is a special place even to the Swiss. Being mainly owned by farming families who have refused all efforts to get them to sell their land, it has remained picturesque and unspoilt. Stopping the bike we looked up at the N.E. 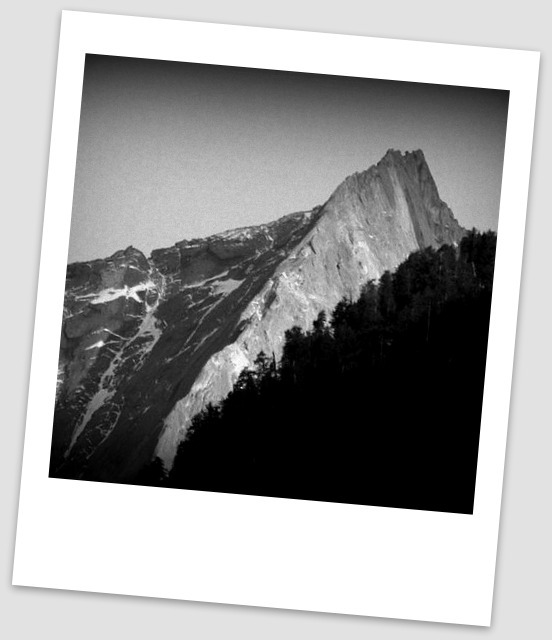 Face of the Piz Badile. We were disappointed to see that there was a lot of ice glistening on the north ridge in the late afternoon sun. This meant that our objective, the Cassin route on the NE face, was probably out of condition. Driving through the narrow streets of Bondo the noise of the exhaust reverberated off the walls as though announcing our arrival. On up the rough and winding forest track, passing through a couple of rough hewn tunnels, we eventually crossed a wooden bridge over the torrent which had its source several thousands of feet higher amongst the glaciers and snowfields. Driving slowly trying to avoid hitting the largest rocks, we came to a small parking area at the end of the track. This was where the footpaths to the Sciora and Sass Fioura huts started. Not able to go any further on the bike, we parked it and crossed a wooden footbridge over the rushing glacier river to pitch our tent on the far bank. After our evening meal, lying in the tent discussing what to do the next day, Paul produced from his rucksack, descriptions of routes in that area. These he had copied on to note paper from an Italian guidebook, all in Italian; Guidebooks to this area being unavailable in English at that time. The usefulness of these descriptions was called into question when it was found that neither of us could read more than a dozen or so words. In those days the Cassin Route on the N.E. Face of the Badile had a big reputation and although there had been a number of ascents by continental climbers there had been very few by British climbers. We were hoping to make what we thought would be the third British ascent. This face had first been climbed by the great Italian mountaineer Ricardo Cassin with friends Esposito and Ratti. They were joined by two other Italian climbers and achieved success in storm conditions taking three bivouacs but at the expense of the lives of two of his companions who died of exhaustion and hyperthermia. The second ascent by the French guide Gaston Rebuffat and Bernard Pierre was also an epic, taking three whole days. The dramatic history of the climb and our lack of a detailed English description, gave it an air of great seriousness. We were aware that Herman Buhl had climbed it solo in four and a half hours but he was in a class of his own!! Waking to a dull and cloudy day, we decided to pack our sacks with food and climbing gear and go up to the Sciora Hut, where we could decide what route to do when viewing the mountains from close quarters. With our heavy loads the steep walk up through the forest was very tiring and seemingly never ending. Taking our time and many rests, drinking in the majestic scenery, we eventually reached a bend on the path above the tree-line where a large slab of rock faced us. Knowing Oliver Woolcock, a good friend of ours, was coming here to attempt the Cassin route in two weeks time, we decided to leave a message for him scratched on the slab, it said, “Tired Youth?” We walked on, chuckling, hoping that he would see it just as he reached this most tiring section of the walk. Knowing that we had been there before him, he would realise who had written it and curse us all the way to the hut. The mountains were cloaked in clouds, the Badile NE face in particular was hidden from our view from about half height. Arriving at the Sciora Hut, we found that there was plenty of room, a guide and his client being the only paying guests. Paul and I claimed a place each in the dormitory then returned to the eating area for a coffee and a bought meal. The hut guardian was an old lady who came up in the spring to spend all the summer there. Her grand-daughter, who was around 19 or 20, helped with the cooking and other chores. She was a typical dark haired Italian girl very attractive and from all accounts an experienced climber. The guide asked us which climb we were planning to do; we told him the Cassin route on the Badile. He shook his head and said the face wasn’t in condition. We said we would have a look anyway as we could always come back if we didn’t like the look of it. After the meal we made our preparations for the following day then retired early to bed. As is usual for me before any big event, I didn’t get much sleep and in the warmth of the hut I drifted in and out of consciousness. Too soon it was time to get up. Creeping down stairs we were surprised to find the young woman had risen before us and was busy making our breakfast. The time was 3am when we put on our boots, shouldered our sacks and stepped out into a dark, cold morning. Waving goodbye to the girl, we set off, our head torches lighting our way down the path towards the moraine. The going was very tiring. After crossing the river swollen with melt –water and negotiating some wet boiler-plate slabs, we arrived at the first of three steep dune like and extremely loose moraines where large boulders supported by rock dust and rubble waited to pounce on the unwary. These were followed by a long narrow glacier leading up below the N.E. Face to the start of our route. Kicking steps and regretting only having brought one ice axe between us and no crampons, we made slow progress up the steep hard snow. At the foot of the face, we stopped for a snack and a quick brew which went down very well. At this point, I would like to describe our equipment, which was quite basic even by the standards of the day. 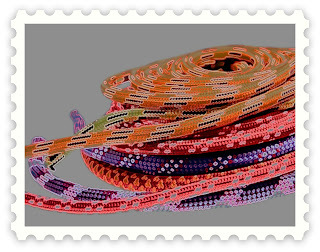 We had two full-weight Nylon ropes both 150 ft long and quite heavy, an assortment of pegs, two hammers, some slings and about 20 heavy karabiners. Divided between our two sacks, we had a stove, food and water, a Billy- can and warm clothing in case of bad weather or bivouac. This consisted of a duvet jacket each and in the absence of thermals, pyjama trousers. We climbed in boots, corduroy trousers, thick shirts, sweater and gabardine smock style anoraks. It was just about light when we roped up. Above us a vast sweep of overlapping slabs rose up to meet a canopy of dark cloud halfway up the face from which large snowflakes were beginning to gently fall. What should we do? Our discussion went something like this; “he who always watches the weather gets nothing done but he who ignores the warnings courts disaster!” The decision was made to press on for a while to see how the day would develop. A steep corner and a few diagonal pitches up slabs led to the site of the first Cassin bivouac. The face had steepened again and we had an impressive view down to the snowfield some hundreds of feet below. By that time the snow had stopped falling and the cloud appeared to be lifting, we decided to go for it. The view across to the north ridge of the Cengalo put these mountains in perspective and made us realise the size of our undertaking. Leading through, making good progress, we soon arrived at the snow patch which at approximately half height on this face used to be a permanent feature. Stopping here for a bite to eat we were impressed by the wall above which reared up into the cloud. Time to move on, a steep crack led directly upward then out right, Paul tackled it confidently, it was bristling with pitons. Climbing swiftly, clipping the occasional peg he was soon out of sight. A tug on the rope told me it was my turn. 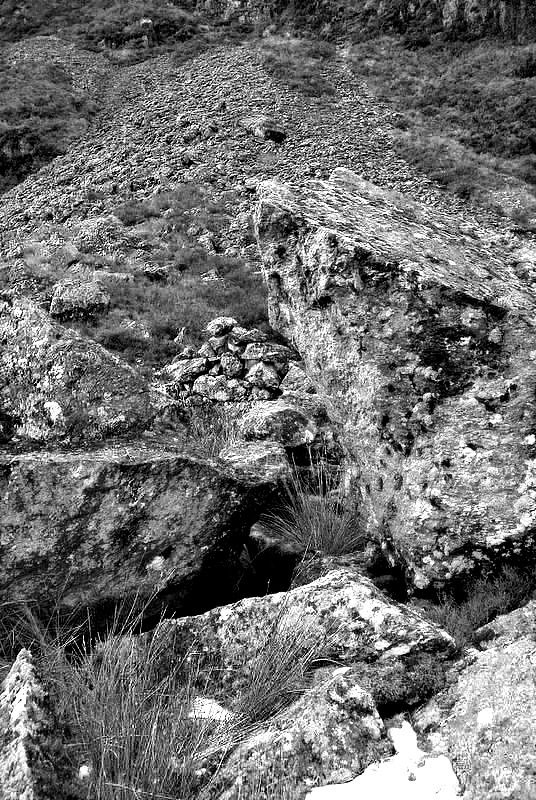 The rock was steep but superbly rough in texture. The exposure was impressive. I joined Paul at the foot of a steep corner capped by an overhang. I led 70 feet to the roof, which caused me to stop and ponder the best way round it, turning it on the left, feeling grateful for the abundance of pitons in situ, I arrived at a stance. The angle eased off again and a few more pitches led to the foot of the long chimney system which leads towards the summit ridge. The climbing here got quite serious, the cracks being filled with snow and ice. At first, we were puzzled by the absence of pitons, then realised they were there, but unreachable under a thick covering of ice. 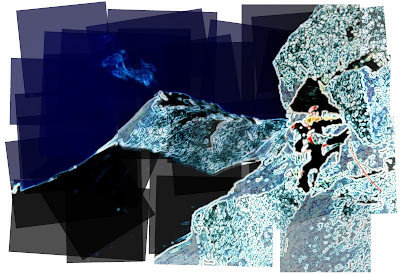 Feeling unprotected, fighting our way upward, the strenuous climbing helped to keep us warm. 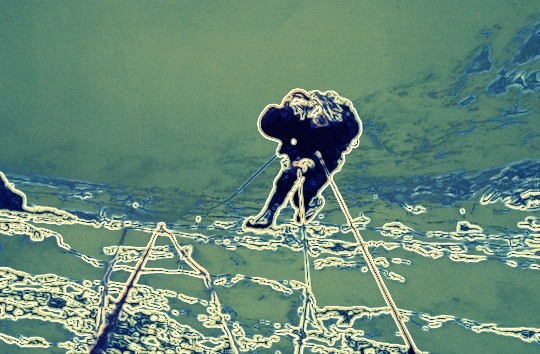 At the top of the chimney, our progress was barred by a bulging icy wall. The obvious way was out to the left, and according to our description led to a long traverse to the central couloir. Due to our lack of crampons and guessing that the couloir would be iced up we decided to take a more direct line up delicate slabs. From the stance, Paul cautiously moved out on verglassed rock, round the left arête of the chimney, then climbed direct up slabs right of the couloir. Out of sight round the corner he was obviously experiencing some difficulty as the rope snaked out very slowly. I shouted up to let him know that he was nearly out of rope, “How much is there?” he asked “ about 20ft “ I replied. “There’s a stance 40ft above me, take the belay off we’ll have to move together.” I did as he asked and climbed very carefully on the iced rock hoping that he had clipped some pegs on the way up. After what seemed an eternity, I was relieved to hear a peg going in. At the stance, we agreed that this pitch must have been HVS. Paul had sunk the belay peg in up to the hilt. I led through towards the summit ridge. When Woolcock passed that way a couple of weeks later, suspecting it was our peg, he tried to remove it but soon gave up. He knew Paul didn’t give away gear easily and that if it had been removable, it wouldn’t have stayed there. At the ridge we turned left and climbed the last few feet to the summit. We had done one of the six classic north faces of the Alps; 3000ft graded TD Superior it had taken us 8 hours. We had been the only ones on the face so were not held up at all, in fact we didn’t see anyone else all day on the whole of the mountain. At the summit ridge we were hit by a strong wind so deciding to forego the brew that we had promised ourselves began to descend as quickly as possible by the North Ridge. Somehow, we got onto the SW face on very loose rock, enormous loose flakes but nothing solid enough to belay on. Deciding that it was too dangerous we retraced our steps to the summit and went down the Italian side reaching the glacier at dusk. We could see the lights of the Gianetti Hut and following these arrived there after dark feeling very tired. The guide and his client from the Sciora Hut the night before were there and seemed pleased to see us. He asked if we had climbed the Cassin Route, we told him we had. Both he and the hut guardian said,” bravo, bravo, bad conditions much ice. ” We agreed about the ice, but thought conditions could have been worse. They asked us our ages, I told them,”22 for me 19 for Paul,” Ah Bambino!” they said pointing to Paul. We all laughed and they poured us some Red wine. As the night wore on they kept on pouring it. We thought this is great, until at the end of the evening they gave us the bill. We had been convinced that they were so impressed by our ascent in what they had said were bad conditions, that they were treating us to free wine. No such luck! We paid up reluctantly and went to bed. A little later we were awakened by a group of around a dozen Italian youths shouting and wrestling on the dormitory floor. Ignoring them at first we tried to get back to sleep. Suddenly there was a loud bellow, “shut up or I’ll flatten the lot of you.” There in the middle of the floor stood Paul fist clenched and raised. Silence descended. Alpha Males-The story of the Alpha Club: Reviewed by Steve Dean with purchase details. 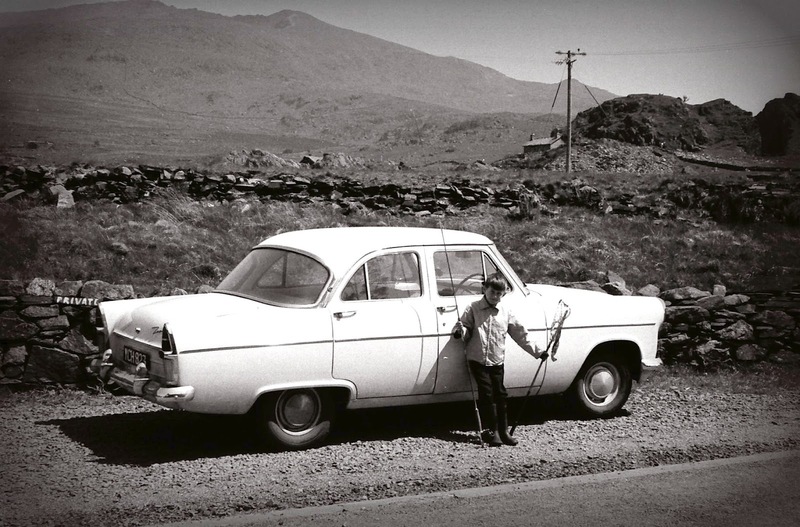 Later this week: Al Parker and Paul Nunn on Piz Badile in 1962.
" From the stance, Paul cautiously moved out on verglassed rock, round the left arête of the chimney, then climbed direct up slabs right of the couloir. Out of sight round the corner he was obviously experiencing some difficulty as the rope snaked out very slowly. I shouted up to let him know that he was nearly out of rope, “How much is there?” he asked “ about 20ft “ I replied. “There’s a stance 40ft above me, take the belay off we’ll have to move together.” I did as he asked and climbed very carefully on the iced rock hoping that he had clipped some pegs on the way up. After what seemed an eternity, I was relieved to hear a peg going in. At the stance, we agreed that this pitch must have been HVS. Paul had sunk the belay peg in up to the hilt. I led through towards the summit ridge. When Woolcock passed that way a couple of weeks later, suspecting it was our peg, he tried to remove it but soon gave up. He knew Paul didn’t give away gear easily and that if it had been removable, it wouldn’t have stayed there. At the ridge we turned left and climbed the last few feet to the summit. We had done one of the six classic north faces of the Alps; 3000ft graded TD Superior it had taken us 8 hours. We had been the only ones on the face so were not held up at all, in fact we didn’t see anyone else all day on the whole of the mountain. 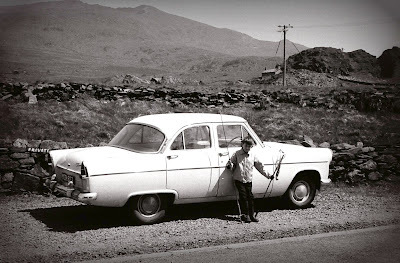 Later this week,Al Parker, author of the acclaimed history of the UK's Alpha Mountaineering Club, describes a memorable week in 1962 when with mountaineering legend-the late Paul Nunn-he tackled the classic Cassin route on Piz Badile in less than perfect conditions to make an early English repeat of the route. Just give me enough rope ! 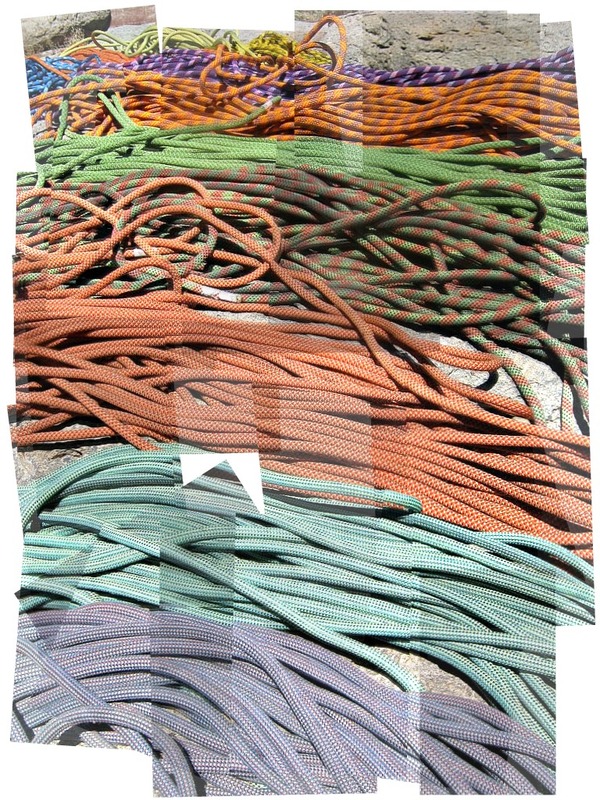 I just got a new rope, 60 metres of Singing Rock. It led me down the thinking path of handling ropes - if you will indulge me for just a moment. I really did not like my last rope at all, it was a dull gun metal grey colour but that was not really the problem. I just didn’t like the way it handled, there was something wrong with the way it felt, knotted and smelt. I won’t reveal the brand, they might try to make me feel better by giving me another one – and I don’t want another one like that. Actually, I am not that keen on my present rope because it is a 9.8mm rope. I just like the way that you can beautify a rock climb and make it so much safer using a couple of oddly coloured 9 mm ropes. But where I live they don’t do double ropes very often, it’s the influence of all of these sports climbs and bolts. My nephew recently came over to the UK and got a couple of 8.7’s but I have yet to become really friendly with them. They are nice and long, 60 metres of lead, abseil or retreat, nice. But they are just a little thin on the hand, there is a strange, omnipresent feeling of danger in that mean thinness. The 9.8 is cool, it could double as a double if you know where I am coming from, but yet it is still just a little too thick for a double. The last time I was ‘home’ my friend Martyn from Lowe Alpine met me in The Pass and we had a great day out on his double nines. I felt good on them. Nice knots, double ropes, double safety, long abseils off Dinas Mot. There was even fixed gear to rap off, with shackles and everything. Wasn’t like that in the distant past, more like a climb down. The next day we did a wet Victorian classic on Tryfan up in the clouds and as there were three of us we used the doubles ‘guide’ style. 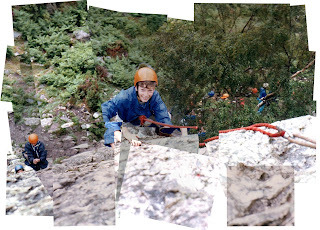 Seconding the easy pitches with two people climbing at the same time on the two nines. And then my new rope took me back to thinking about my very first rope ever, 120 feet of gleaming white three ply hawser laid rope, sort of a proper rope. It quickly got dirty brown, then it went black and very furry very quickly. It was not very long, a 60’ retreat is not much of a retreat. But then I hate abseiling actually, probably because some of my best friends ended their lives in yellow Westland helicopters from stupid, dumb, unlucky or bad abseils. And yet these days everyone ‘raps’ with impunity. Must be these advanced Stitcht plates and modern ‘sit’ harnesses that don’t instantly emasculate males unless they carefully reorganise before descending. Thinking about 3 ply nylon reminds me of the particular smell of a hemp waistline. About 3/8 of an inch of hemp rope, wrapped around your waist about 10 times, knotted on each turn with a neatly tied reef knot and then secured to the rope with a massive steel screw gate finger trap of a Stubai karabiner. I had one for about 6 months before a better waist belt came along. I can’t even remember where the hemp went to, perhaps because we smoked it – would have used a lot of Rizla papers, it would have been a big one! Then there was the red 11mm Edelrid. Again, about a 120 feet of lead (leading not lead) rope. It was standard issue up to about VS. Once they got a bit furry they were fine, sweet even and again the smell at the end of the day was sort of earthy and moss, evocative even. Grit made them furry real quick, but still good to handle, waist belays and all that. (hip belays to the cool). Remember that advertisement in Rocksport Magazine? 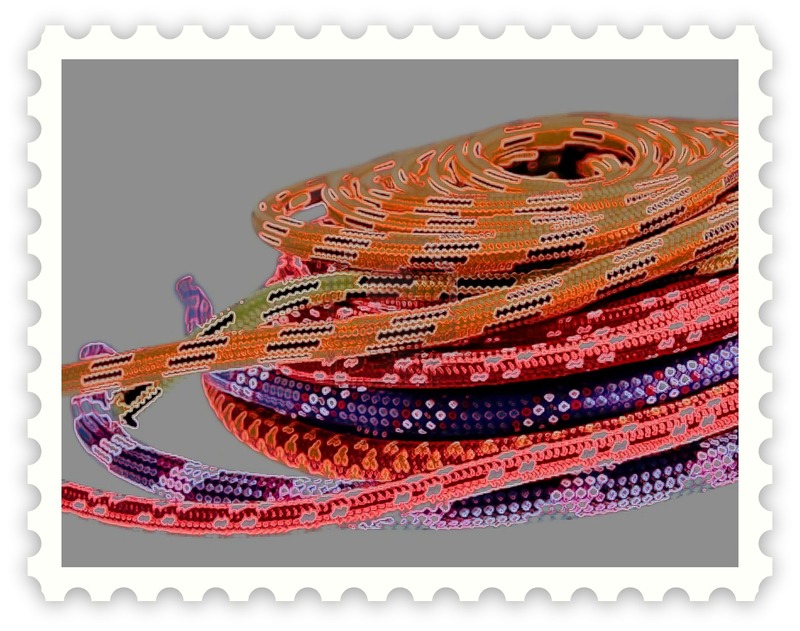 – that girl wrapped up in rope, they unwrapped a bit of rope each month, we couldn’t wait for December…. No you don’t remember. Perhaps you are too young, perhaps you smoked too many hemp waistlines. But eventually 11mm was a drag. Too heavy on harder routes, so along came the double nines. No traverse too long, no diagonal to oblique. They also made the photos come to life and the reward of a nicely laid out bit of pro made that aesthetic climb somehow come to much more life. I love those nines, I really like Edelrid, I also really like Beal. They both knot really well and are really supple. I’m not sure about this Johnny come lately eastern European jobby that I just bought. But it was the right price, nice and long and my first one was horrid. It looked horrid on the rock, it knotted badly and it felt horrid on my hands.I wasn’t bothered when it snagged and nicked. I was glad to get it retired. Now, about those dreaded rope bags. In the past when car boots were full of greasy ‘spares’ usually covered in oil there was a place for them. But these days, the boots of cars are so well appointed that deep pile carpet seems to be the order of the day. Modern car boots are much cleaner and better than some of the student digs we used to live in. And if a rope can’t lay on the ground for a few minutes there must be something wrong with it. Rope bags are for somewhere else. The ritual of coiling and uncoiling (should that be the other way around?) 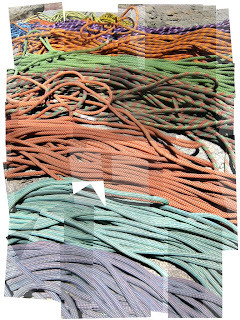 ropes is part of the process of setting up for a climb, sorting the gear, subliminally running safety checks. Handling the rope, making sure it is good all the way along it’s length. It’s the same as the ritual of coiling the rope at the top. Standing there, looking at the view if there is one, reviewing and remembering the climb, having a laugh with a mate about the climb, sorting the gear and so on. Please stand back from the edge though. Again, I like the process of coiling the rope and doing up the knotted bit at the end. It is completion and closure. The rope ends up neat and contained. Not like those doubled across the shoulders and through the middle businesses. I just like to coil and uncoil the rope at the start and the end of a climb. I like to feel them and check them – and is that such a bad thing really? Although these days coiling sixty metres of rope makes my arms ache. Is it that 45 metres of nine mill was easier to coil? Nope, 9.8 is that bit heavier, either that or I’m just getting older.